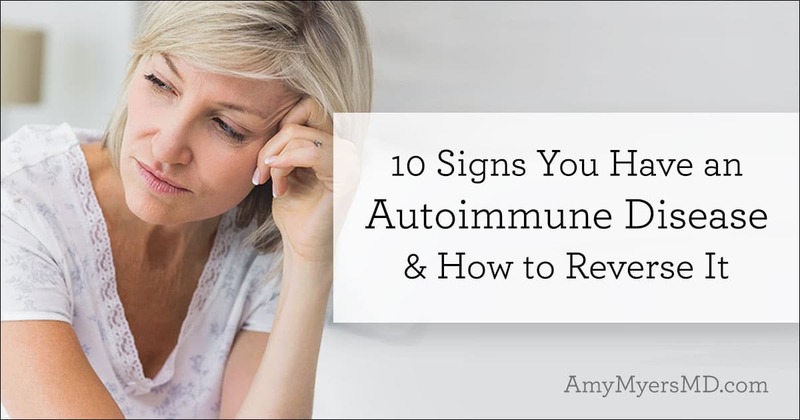 We are truly experiencing an autoimmune disease epidemic right now. Autoimmunity has increased threefold over the last 50 years, and it currently affects between 50 and 75 million Americans. 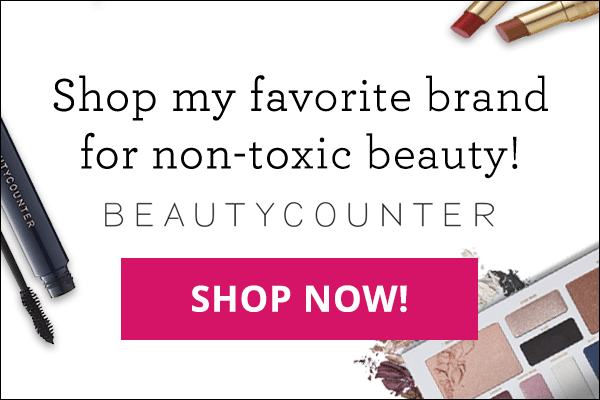 It is the third leading chronic illness in the US, right behind heart disease and cancer. And it accounts for over $100 billion annually in healthcare costs. I’ve seen this epidemic first-hand, both as a patient and a physician. 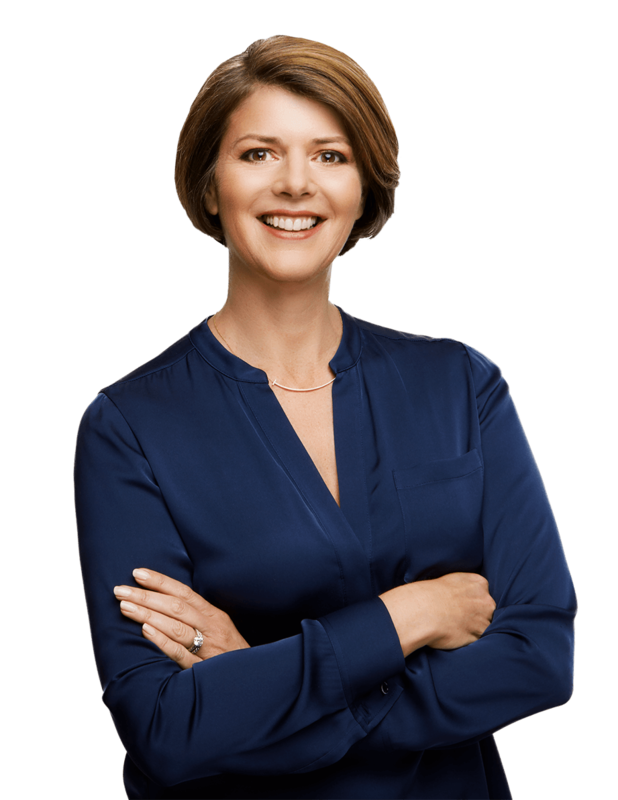 I was diagnosed with Graves’ Disease, an autoimmune thyroid condition, my second year of medical school, and I now specialize in treating autoimmune patients in my clinic. 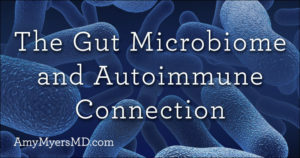 Another aspect of autoimmunity that is cause for alarm, besides the skyrocketing rates of it, is that autoimmune diseases often go undiagnosed for years. In fact, it takes an average of five to six doctors and five years to receive an autoimmune diagnosis. There are a number of reasons for why this is the unfortunate case (which I cover in my book), and one of them is that autoimmune diseases come in many different varieties, including Hashimoto’s, Graves’ Disease, rheumatoid arthritis, type I diabetes, lupus, psoriasis, multiple sclerosis, Sjogren’s, and more, and can cause many different types of symptoms all over the body that range from mild to severe in nature. So, what’s causing these mysterious illnesses that are so difficult for doctors to diagnose and treat? Let’s take a look at what autoimmunity is, some of the most common symptoms, and what to do if you have it. Your immune system has a very sophisticated system for keeping you safe that leads it to identify all of the foreign substances that enter your body or that you come into contact with. If your immune system deems anything dangerous, it will produce antibodies to ward off the harmful intruders. 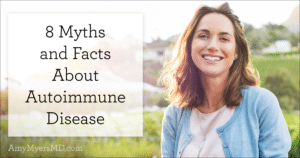 Autoimmune diseases are born when your body is working hard to defend itself against something potentially dangerous, such as an allergen, a toxin, an infection, or even a food, and it fails to differentiate between the intruder and parts of your own body. Your stressed immune system then turns antibodies against you, mistakenly attacking your own tissues instead of invaders, causing a potentially wide range of symptoms. Recurrent rashes or hives, sun sensitivity, a butterfly-shaped rash across your nose and cheeks. 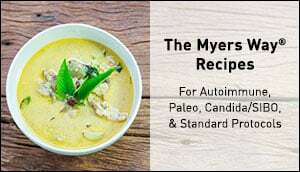 What causes autoimmunity and how can you reverse it? Conventional medicine will tell you that autoimmune diseases are caused by genetics. And there certainly is a genetic component to them. However, twin studies have shown that genetics only accounts for about 25% of the chance that you will develop an autoimmune disorder. That means the remaining 75% of the picture is environmental — and therefore up to you! I find that an incredibly empowering statistic. So what are these environmental factors and how can you overcome them using dietary and lifestyle changes? 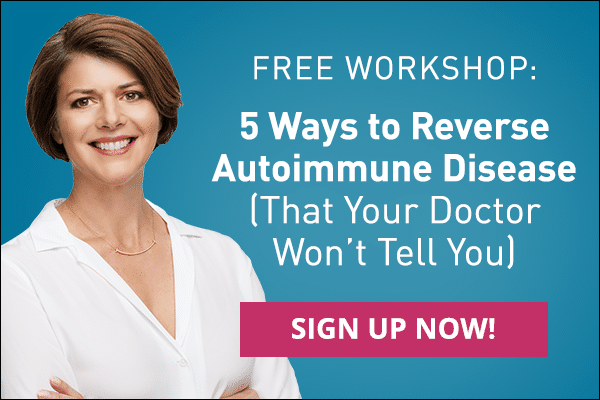 Through my experience as a functional medicine physician and working with thousands of autoimmune patients, I have identified five environmental factors that play a key role in the creation of autoimmune diseases. Remember, that all autoimmune diseases are a problem of the immune system. It is by addressing the root causes above that you ease the burden on your immune system that caused it to go rogue and attack your own tissues in the first place. Then, once your optimal immune function has been restored and your body is no longer attacking itself, your symptoms disappear. So, if you have Hashimoto’s, your thyroid is typically able to begin producing its hormones again, if you have Rheumatoid arthritis your joint pain subsides, and so on. The important thing to keep in mind is that YOU have the ability to take your health back into your own hands. Your genes do not control your destiny, and if you’re willing to commit to addressing the true underlying causes of your condition, you can eliminate your symptoms and reclaim your vitality!